Ethan Siegel, astrophysicist-blogger behind Forbes’ Starts With a Bang! blog, responded with a post titled “There’s A Debate Raging Over Whether Dark Matter Is Real, But One Side Is Cheating.” He wrote that, in order to win favor from the public, Hossenfelder and McGaugh were setting up a false narrative by treating the fight as an even one, even though the support for a dark matter particle far outweighs the opposing side. Mandelbaum closes by telling us that dark matter is “an undiscovered population of particles” and “physicists are working on various experiments to try and find them.” End of story. As a general rule, to determine where the cosmology bloom will drift, look for faint hopes of a multiverse. There, everything is possible so naturalism (nature is all there is, often called “materialism”) makes sense. Hossenfelder thinks the multiverse is “a fringe idea” but Siegel is talking himself into believing in it. Probably not a coincidence. Sabine Hossenfelder: Will increasingly sophisticated computer simulation “end” theoretical physics as we know it? Hossenfelder: Perhaps one day, rather than doing calculations, we will just use observations of simplified systems to make predictions. Researcher: The search for dark matter has become a “quagmire of confirmation bias” So many research areas in science today are hitting hard barriers that it is reasonable to think that we are missing something. 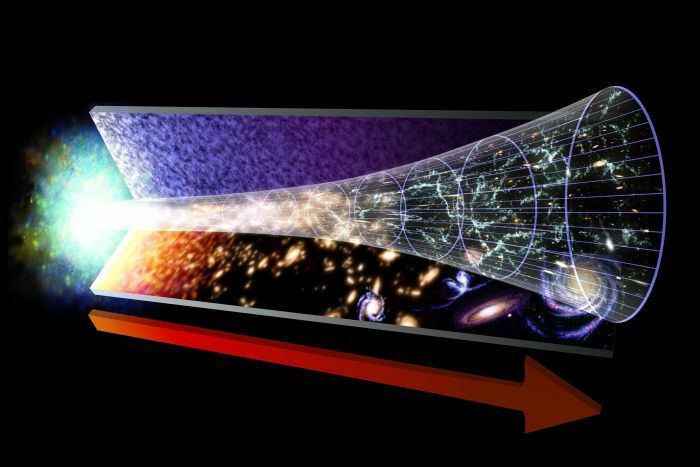 The Big Bang: Put simply, the facts are wrong. What becomes of science when the evidence does not matter?